Without further ado, here are some audio books I’ve had in my ears recently. Fall has me in the mood for creepy reads, so this time I’ve got a podcast-style thriller about missing teenage girls, the story of a hike that goes horribly wrong, and my new favorite PI series. This book is so perfectly suited for audio! If you are a fan of investigative podcasts like Serial or S-Town, you won’t be able to stop listening to Sadie. Half the book is formatted like a podcast, right down to the intro music and soft, public-radio narration. The other half is narrated by Sadie, a teenage girl, now missing, who set out on a mission to avenge her sister’s murder. Chapters alternate between Sadie’s version of events and podcast host West McCray as he follows leads and asks questions, always a step or two behind her. This format works very, very well to build tension. 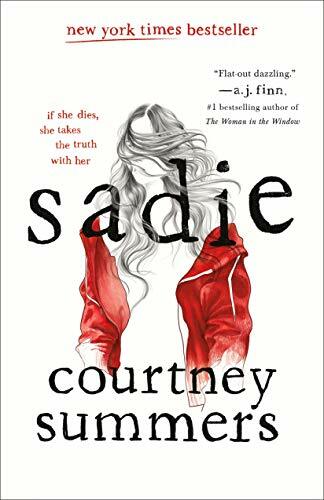 Sadie’s rage at what happened to her sister is palpable, and it made me so nervous because I knew with that kind of anger driving her, she was likely to make a mistake and put herself in danger. Some people in Sadie’s orbit are more willing than others to talk to McCray, so his progress is frustrating and halting and full of dead ends. There’s a full cast of voice actors, so each interview, each conversation sounds real. The whole novel feels very real—and it should, because as McCray points out early on, girls go missing all the time. The scariest part of Sadie’s story is how common it all is. Nina Revoyr is a writer I come back to again and again. I just love her writing style and find it very relaxing to read, even though in Lost Canyon the plot itself is tense and high-stakes. She never gets in a hurry, each scene is fully fleshed out so you feel like you’re there, and every character is a complex, realistic, flawed person. I especially love how she brings together a diverse group of people and shows what develops when different privileges and perspectives collide. I just want to grab a bowl of popcorn, sit back, and watch the show. 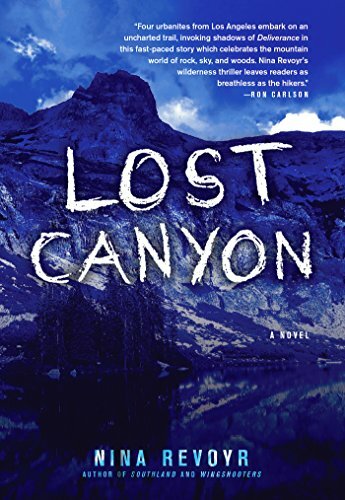 Lost Canyon is about a group of hikers who venture out of their comfortable lives in LA and into the Sierras. They’re brought together by Tracy, a pushy athletic trainer. You know the type—they’ll say, “One more set!” when they really mean three more sets. Then there’s Gwen, who works with underprivileged teens, Oscar, a flashy real estate agent, and Todd, a lawyer at an elite firm. Their group is a mix of ethnicities, backgrounds, and physical ability, and they’re all going to be pushed to the limit because—you guessed it—this hiking trip goes very, very badly. And that’s all I’m going to say about the plot—this is one camping trip you should experience for yourself. 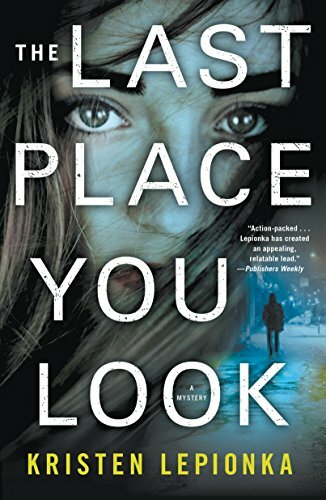 This is one of the best thrillers I’ve read in a long time. I often struggle to follow mystery plots in audio, but I was riveted from the first chapter right through the heart-pounding conclusion. Roxane is the daughter of a cop who was also an alcoholic. She doesn’t like hearing she takes after her late father, but she clearly does in more ways than one, because she works as a private investigator and she has trouble staying away from the bottle herself. She’s been hired by the sister of a man on death row to try to clear his name. He was convicted of killing his girlfriend’s parents fifteen years ago, and the girlfriend has been missing ever since the night they were killed. There are a lot of holes in the case against him, but the convicted man isn’t very forthcoming, and the small-town police force who handled the original investigation doesn’t want Roxane sniffing around. I’ve said it before and I’ll say it again, what makes or breaks a mystery series is the charisma of the lead character, and Roxane is everything I want in a detective. The gruff attitude and drinking problem angle risk veering into cliché, but Roxane is much more than a stereotype. She’s tough but soft inside, she’s incredibly brave, and she may not be nice, but she has a deep-seated sense of justice. I’m also totally invested in her personal life. Roxane dates both men and women, and her relationships are complicated and messy and I just want her to pick someone that’s good for her. I am so on board for this series and hope there will be many more Roxane Weary mysteries to come.